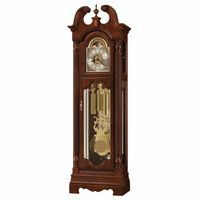 Hermle Taylor Grandfather Clock features a handcrafted Cherry solid wood case Made in Virginia USA. 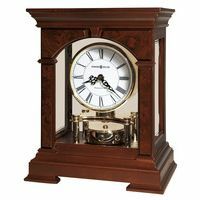 Hermle mechanical cable-driven grandfather clock movement and accessories are made in Germany. Cabinet is complimented by a graceful bonnet pediment with a hand rubbed veneer crown with fleur-de-lis inlay and primavera veneer border. 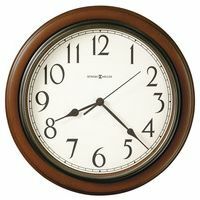 Mechanical 8-Day movement features automatic night shut off option, and Westminster, St. Michael and Whittington chimes.